BT More brings you tips for frequent fliers and the latest news in travel. With airports focusing on passenger comfort, sights like these may just become history. BT More brings you tips for frequent fliers. Sleep is important, and nobody understands that better than Changi. A look at what makes the Singaporean airport tick. Do you prefer to catch forty winks at a stopover between flights, so you can sleep the jetlag away and board the next plane refreshed? 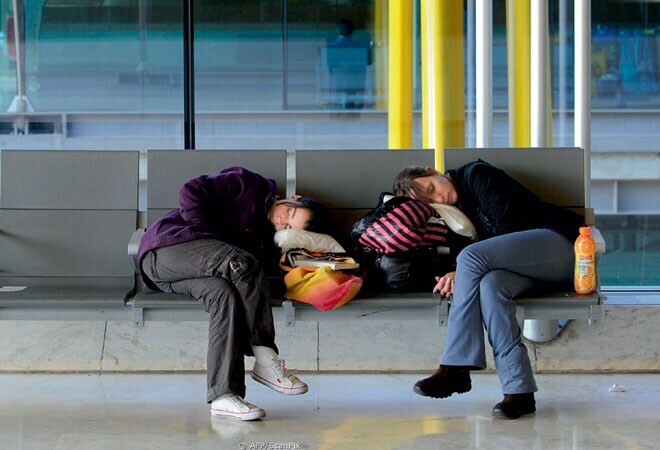 If so, The Guide to Sleeping in Airports has come up with a list of terminals best equipped for the purpose, over half of which can be found in Asia. Topping the list, not surpisingly, was Singapore's Changi Airport, followed by the Seoul Incheon International Airport in South Korea; Helsinki International Airport in Finland; Munich International Airport in Germany; Vancouver International Airport in Canada; and the Kuala Lumpur Airport in Malaysia. In fact, Changi isn't so bad even if you prefer to while away your time nosing around the place. Here are some of the recreational facilities at the airport. Butterfly Garden Over 1,000 butterflies of 47 species to thrill kids and adults alike. Sunflower Garden Nothing like this park to bring about a sunny disposition. Entertainment Deck Xbox Kinetic Room. Check. MTV booth. Check. Playstation 3 consoles. Run riot. Fish Spa Just relax, and let schools of kangal nibble the fatigue off your feet. If you wish to refresh yourself after a long flight to New Delhi, here's good news. 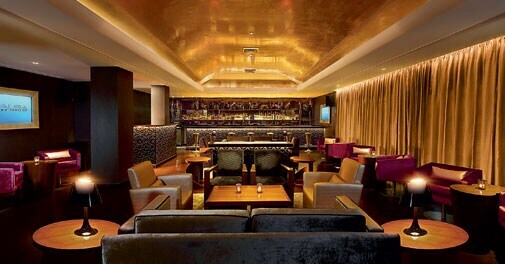 The Claridges, located in the heart of Lutyens Delhi, has announced the re-launch of popular vodka bar Aura. Delhi's only speciality vodka bar to offer 55 rare kinds of the liquor, it combines classic Russian charm along with an ambience that's perfect for shrugging off that jetlag. Also on offer is a unique menu infused with European and Russian flavours, from traditional Russian potato dumplings to East European favourites like salmon and cured meats to complement the liquor. Drink up. With the launch of the Google Flight Search tool in India, travellers can now search for flights, airfares and timings directly through its search engine. 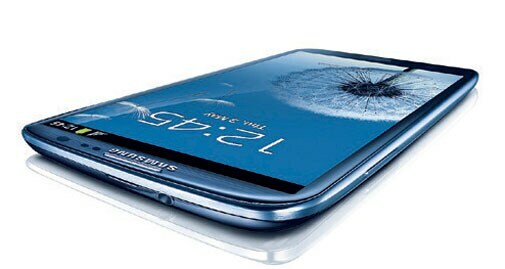 Available on desktops as well as mobile platforms, it offers the price and duration of journey based on preferences and previous searches. Flight Search's calendar has a variety of filters to choose from, ranging from airline, timings, price and date to number of stops. The tool, launched in partnership with goibibo.com, can be accessed through google.co.in/flights. Trolley bags are convenient, sure, but don't take them to Venice unless you want to be fined up to 500 euros (approximately Rs 39,000) by stern-looking men in police uniforms. Paying heed to residents of Venice, who have repeatedly complained about tourists noisily dragging wheeled bags through the city's cobblestoned alleyways at odd hours of the day, the city has decided to ban such pieces of luggage from early this year. According to civic authorities, trolley bags have also been increasingly causing wear and tear of the city's age-old streets. Consequently, visitors have been given a choice, either switch to noise-free air-filled wheels or simply carry their bags the old fashioned way. The rule, however, does not apply to the local residents. Where are you going this weekend, Goa or Shimla? How about Seychelles, considering that with Air Seychelles launching direct flights from Mumbai to Mahe Island, the 10-hour one-stop journey to the island paradise has now become a four-hour non-stop hop. With flights leaving from Mumbai thrice a week and economy rates as low as `30,000, there really is no need to go anywhere else. Need another reason? As Seychelles doesn't even insist on a visa, that's one more queue you are spared. Go ahead, make the most of the wind and the waves. The only public transit app you'll ever need across the US, Canada, Europe, Russia and New Zealand, HopStop provides the smartphone user with detailed subway, bus, train, taxi and biking directions along with official transit maps, a station finder and schedules in over 600 cities. Never get lost again. Take your pick of luxury tours, from golfing to cruising, at the Middle East Luxury Travel Show. Hobnob with the best in the travel business. The Inhorgenta International Trade Fair makes a cultural statement on luxury with its unique collection of watches, jewellery and gemstones. At the Philadelphia Flower Show, expect more than just floral entertainment. Look out for the wedding themed-party on day 5.